The first bracelet is made out of ribbon, with a sweet water pearl dangling added for interest. 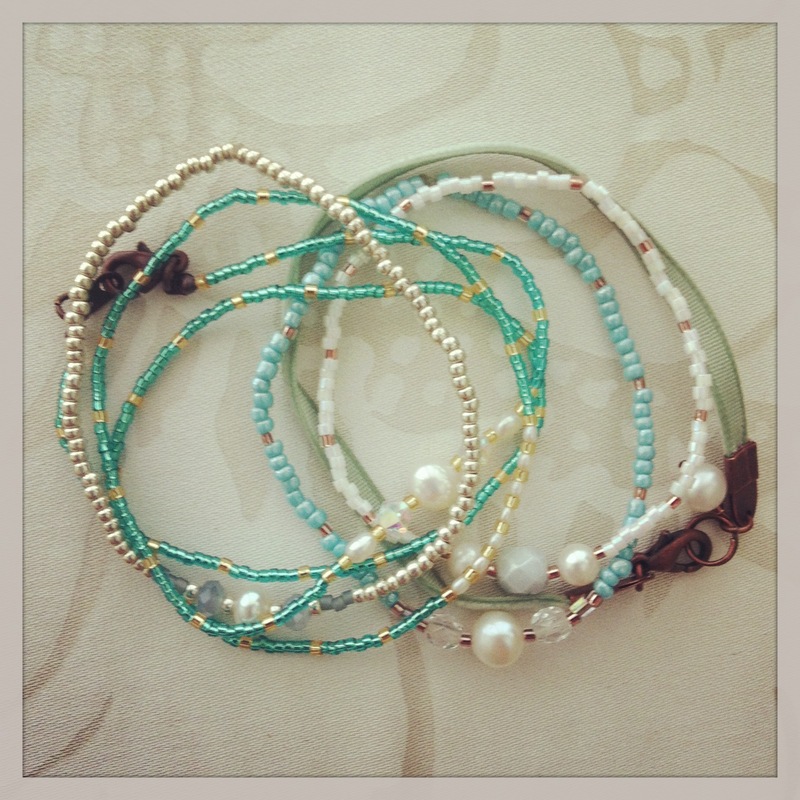 The next three bracelets have Japanese seed pearls, with semi-precious jewels. These are very beautiful and I like to wear them with other jewelry and by themselves. The last bracelet also has Japanese seed pearls and it is a wrap-type bracelet. I love this one because it’s a stunning turquoise color that brings attention to the hand. Thank you for reading and please make sure to check out her blog and her other jewlery!